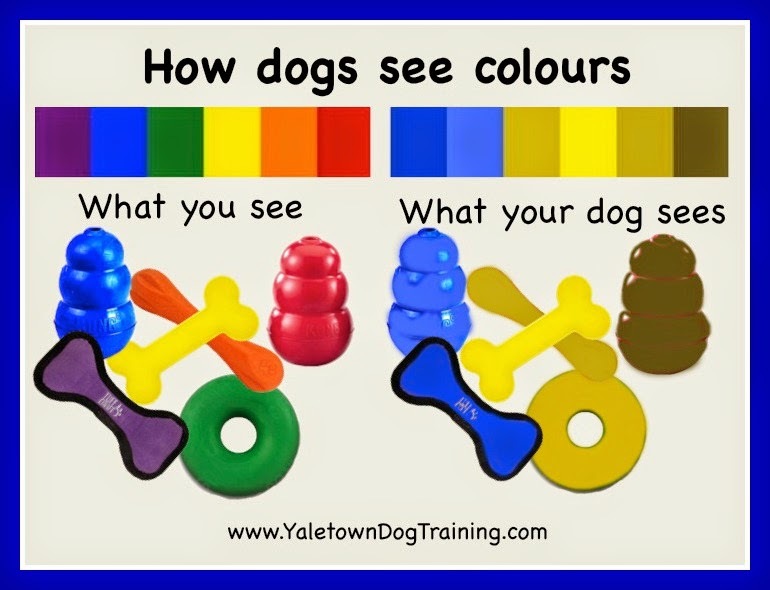 Here is a handy guide from Yaletown Dog Training on a dog's point-of-view when it comes to color. "Does your dog run by toys you throw for him, as if he doesn’t see them? Dogs see colours differently than we do. Research has shown that red appears brown, and purple looks blue to a dog. Grass as well as his green, yellow and orange toys can all look yellowish to him. No wonder he cannot find that tennis ball in the grass." 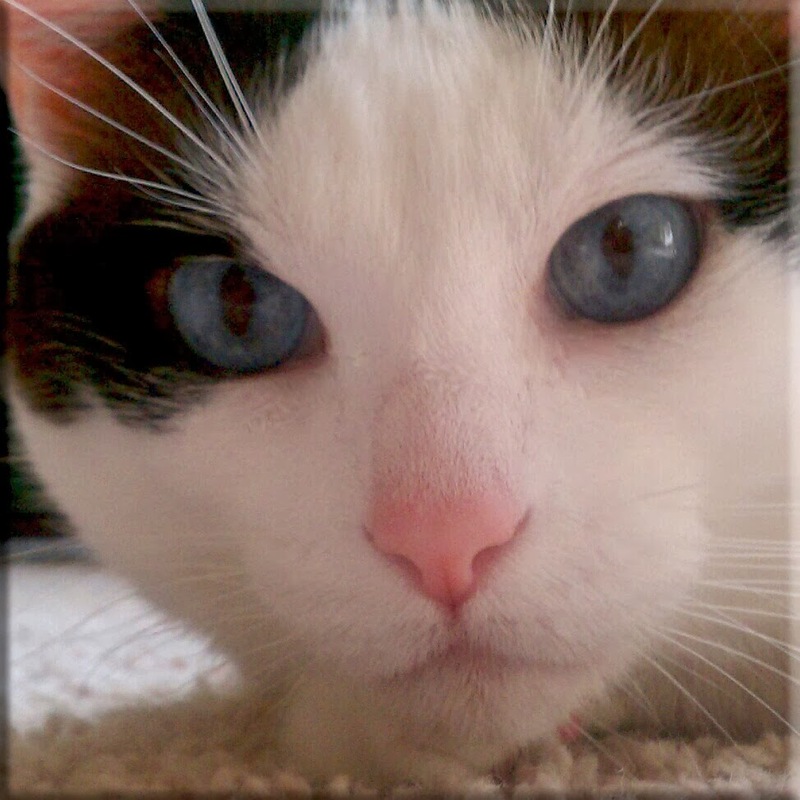 For more information (Sara's blog is excellent), click or tap here.